We usually wait until the start of a new financial year to re-evaluate our finances and pay attention to some of those pesky bills we’ve been overlooking. But any time of the year is a good time to pay attention to all the money that is going in, and going out. Here are a few tips to make sure you’re running a tight financial ship throughout the year. Know your rates: These days consumers have the power to shop around and when it comes to your mortgage or credit card this is no exception. Know exactly what interest rate you’re paying on each of your loans, take a look at the fees and prioritise the ones that are higher so you can pay them off sooner. Look at options, such as refinancing your mortgage for a better rate and balance transfers for your credit card so you can get on top of them and pay them off. This same rule applies to service providers. Don’t be afraid to renegotiate and shop around for your phone and electricity plans – it can save you cold, hard cash. Carry Cash: Paying with cash is usually a bit more psychologically confronting than just whipping the plastic out at the cash register. Carrying cash generally makes you more accountable and can be really helpful for those who want to keep an eye on what they’re spending. Budget & Stick To It: This is an oldie but a goldie. If you want to get your finances in order the first place to start is with a good budget. When creating your budget, make sure it is comprehensive and realistic and be sure to stick to it! Pay yourself first: Put the old, 80:20 rule to good use and put 20 per cent of your income towards savings, then use the rest to pay bills and live. This old rule has worked well for many in the past. Pay Your Bills On Time: Be organised and know exactly when your bills are due and have the money ready to pay them. Late fees and dishonour bank fees can add up quickly and can sneak up on you when you don’t expect it. Make the most of early bird payment options and save, save, save. If you want to see where your financial inefficiencies are then come along to the half-day Fast Track event near you. 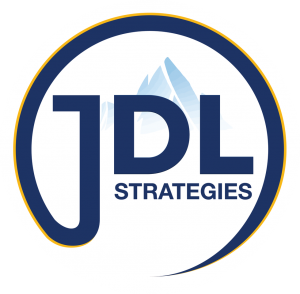 Or, take advantage of JDL Strategies 2-hour event and learn how to make your money start working for you. ← How Many Properties Do You Need to Retire?